When I was growing up I used to love listening to Jeff Wayne’s musical version of the War of the Worlds. In my mind, I can instantly recall the sound of Richard Burton’s deep voice narrating – “No one would have believed in the last years of the nineteenth century that this world was being watched keenly and closely by intelligences greater than man’s and yet as mortal as his own.” Some twenty years later, I watched the story immortalised on the big screen by Tom Cruise and Spielberg, but it was only recently that I actually read the novel. H.G. 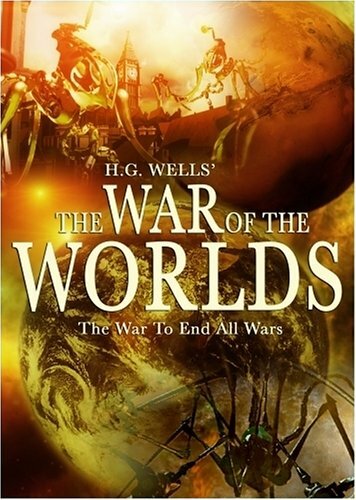 Wells published this book in 1898, long before moon landings, satellites, and humans living aboard space stations. His alien invaders, complete with destruction rays and gruesome feeding machines, would be just as horrifying if this story was set a hundred years later, and in that aspect this novel has lost none of its appeal, or impact. As a window into the beginnings of the science-fiction genre there is possibly nothing better. Where this novel really shines though, is in the exploration of human nature – how different people cope in the face of disaster, and the lengths they will go to, to survive. The idea of the hunter becoming the hunted will appeal to all those who enjoy post-apocalyptic reads or themes of oppression, colonization and war. The story is narrated by a man who is witnessing the invasion first hand – his intelligent but often panicked version of events, gives an authentic, urgent immediacy to the novel as the horrifying events unfold. At times the language feels a little stilted in a quaint Victorian way, but the book is also very short, and nothing is dragged out longer than it needs to be. Even being intimately familiar with the plot, I still found this to be an enjoyable and quick read. I rated this 4/5 stars, a classic that should be on everyone’s “I’ve read this” list. I was too young to have Jeff Wayne’s musical version, but my cousins who are 4 & 5 years older than me did. I can vividly recall the opening music and (I didn’t realise until your review who it was) Richard Burton’s narration. That section you have quoted, when I read it, instantly took me back to my childhood and hearing it. I must get this out and finally read it. I may even have to hit the iTunes store and see if I can get the musical version.